After Monday’s extension of EU sanctions, Russia wants to prolong and expand its food embargo. This may include flowers and chocolate, said Russian food watchdog spokesman Aleksey Alekseenko in an interview with Gazeta.ru. The EU sanctions extension against Russia came into force on Tuesday and will remain until 31 January 2016. Russia was quick to react to the EU decision Monday with the Prime Minister Dmitry Medvedev ordering his chief of staff to ask President Putin for an extension of Russian counter-sanctions. "Many other countries are willing to supply us flowers, and in this case our industry in the area will begin to slowly recover should there be an embargo. Also, there have been calls for a long time to import flowers from Latin America directly rather than from the Netherlands,” Rosselkhoznadzor’s Alekseenko said in aninterview published Tuesday. 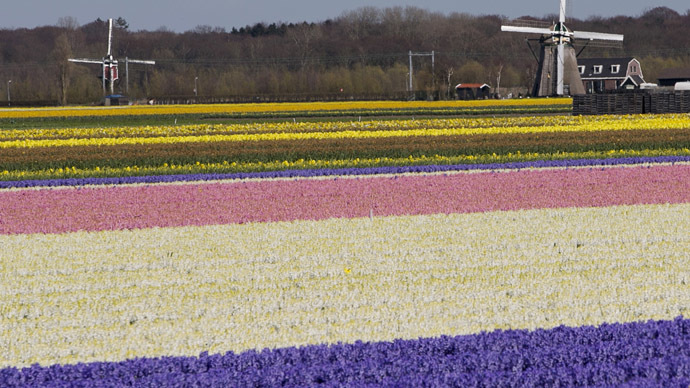 As a transport hub the Netherlands exports large quantities of flowers and flower products from Europe and Latin America to Russia. According to customs data, in 2014 Russia imported 14,700 tons of flower bulbs, roots and other flower products worth $38 million. Imports of another 26,500 tons of other plants, such as various cuttings, trees and shrubs were worth $58.3 million. Deliveries of cut flowers and flower buds for bouquets were even bigger, as last year Russia imported 30,700 tons valued at $225.4 million. Domestic manufacturers have also asked for a ban on the import of European chocolate. Russian producers want to take the niche, occupied by high quality EU chocolate from countries like Belgium, France and Germany, and they have ability to do so, according to Alekseenko. According to the customs statistics, in 2014 France exported 5,600 tons of chocolate in various forms worth $37.5 million.During the same period Belgium exported $47.3 million worth chocolate products. The Russian Ministry of Agriculture said the question of banning EU chocolate hasn’t been raised. There will be no radical solutions, the embargo list is sufficient, said the head of the ministry Aleksandr Tkachev.